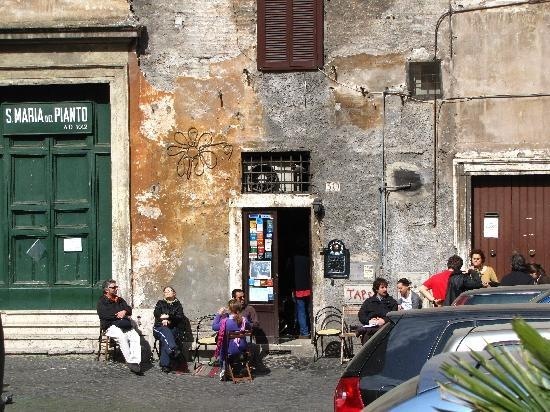 Here is a shortened version of Rick Steves’ Jewish Ghetto Walk located here. The Jewish Ghetto is at the east bank of the Tiber, near the Isola Tiberina and the Theater of Marcellus. The day to avoid this walk is on Saturday when the synagogue and museum are closed. 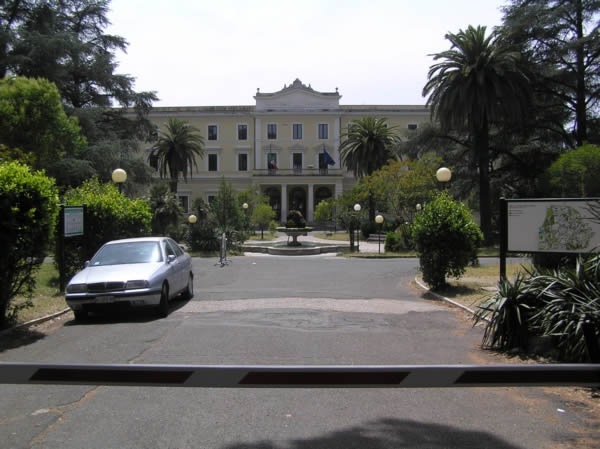 This ghetto is the home to 15,000 Roman Jews forced to live here more than 300 years ago. Start at the north end of the Ponte Fabricio. 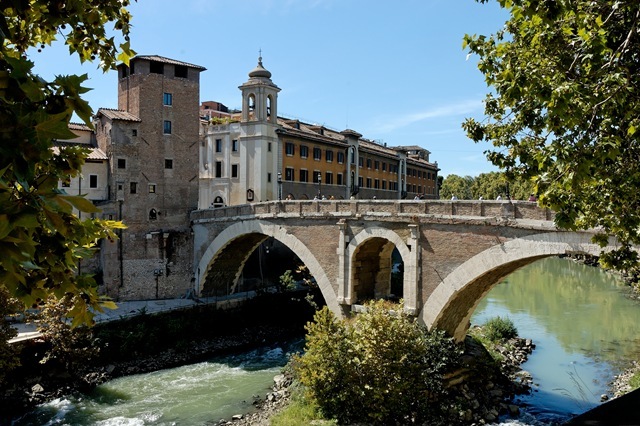 What to see: Ponte Quattro Capi (“Bridge of the Four Heads”) – Statues of the four-faced pagan god Janus. What to see: The embankment was buit in the late 19th century. Before then, this was the most flooded zone along the Roman riverbank. What to see: The Synagogue – This was the original center of the Jewish community. The churchlike synagogue has a square dome, and is Art Nouveau with a dash of Tiffany. What to see: The Jewish Museum shows off historically artifacts described in English. 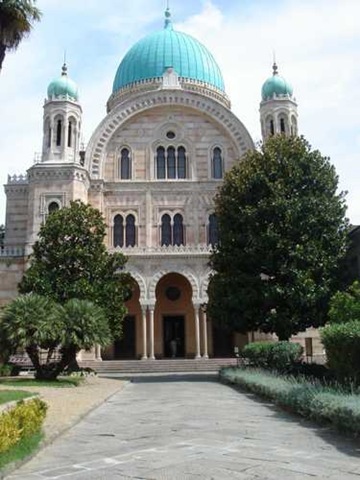 What to see: The Santa Maria della Pieta – This is a Catholic church built to spread their faith to the Jews. This square is named for the date when the Nazis parked their trucks and threatened to take the Jews to concentration camps unless they came up with 50 kilos of gold. In the end, they took the gold and the Jews. 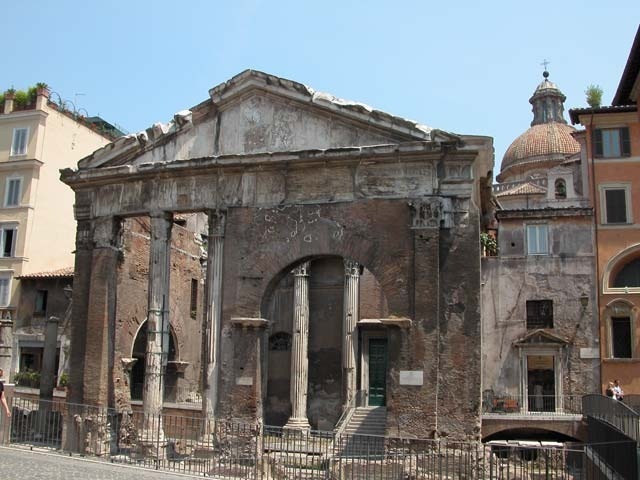 What to see: The Portico d’Ottavia is an archway built by the emperor Augustus. This was once the cultural center in the Roman empire, until the fall of Rome. The portico became a thriving fish market, and eventually into the Church of Sant’Angelo in Pescheria. What to eat: Sora Margherita Associazione Culturale – There is no sign but they have traditional Jewish fare. I have been traveling to Italy for many years. However, now cannot because of age. But I would like to again taste those little fruit cakes from the 200 year old bakery in the Jewish ghetto. How can I obtain some? « San Diego Here We Come!